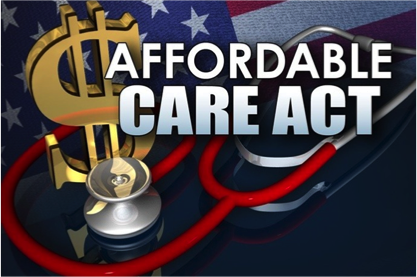 The Affordable Care Act now requires that preventive care visits and preventive services, including lab work, be provided without any deductible payment. While it may appear to be a great idea for wellness centered care, it presents patients (particularly those with high-deductible plans) and clinicians with a dilemma as to where the lines of preventive and problem-focused care begin and end. Clarifying the difference to patients, from a billing/insurance perspective, between preventive and problem focused care should be one of the goals of your practice this year. The policy you decide to implement should be clearly thought out and communicated to patients to avoid billing surprises. The focus of the practice should be to have a documented policy. One that is clear and distributed to patients for their information and understanding. Post the policy on your web site and hand out the written policy to patients. There is so much confusion among new ACA patients as to what is and what isn’t covered, the quicker you can develop a policy and publish that policy, the easier to avoid patient dis-satisfaction. Most patients just want to know what the law means to them at your practice. They really don’t want to argue the philosophical differences of what constitutes preventative vs. problem focused care. They want to simply know how much it will cost them. Part of the definitive answer must come from the carrier. How does the payer define and distinguish the difference. What preventive care, including lab work, will they cover without the deductible? When does the deductible kick in? At what point is there cross-ever between preventive and problem focused care? Payers may differ on definitions, which is where your practice must make the policy clear from a practice perspective. There may also be family and personal history and condition clauses for some services defined for some as preventive care and others as part of the treatment plan for the risk factors a patient may present. The practice administrator should spend time gathering information from a variety of sources and presenting to the providers. The result should be a clear policy and procedure for your practice and patients. A good place to start is HealthCare.gov for general guidelines.